Learn about the history, characteristics, and uses of the Clydesdale breed of draft horse. 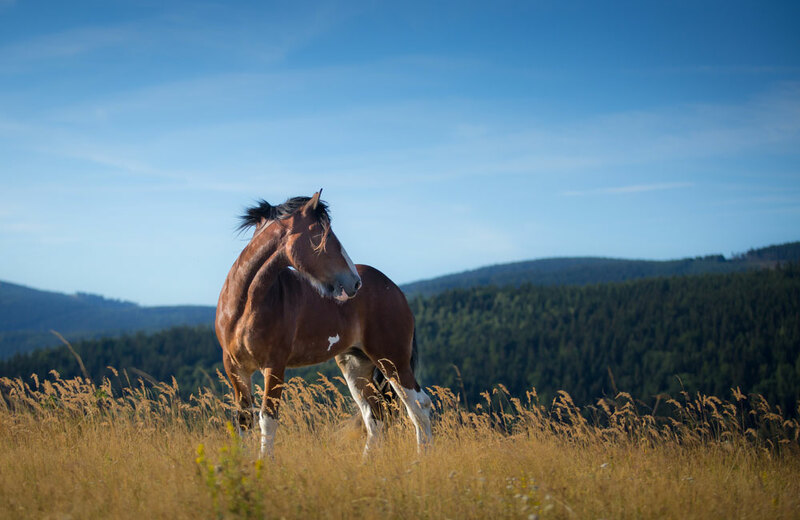 The Clydesdale originated in the Clyde Valley, Scotland, and is the youngest of all the United Kingdom heavy breeds, finding its full development in the last 150 years. 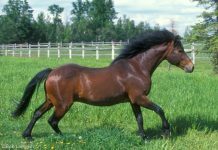 In the late 1700s, Native horses of Lanarkshire were put to Flemish horses, imported by the Duke of Hamilton, to increase their height and bulk. 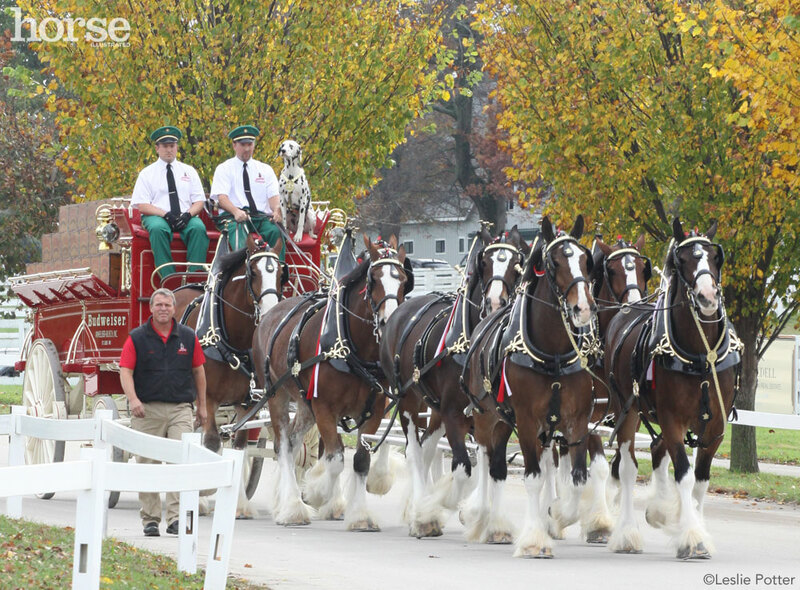 Clydesdales were imported throughout the world and helped build the cities and towns of Canada, Australia and America. Today, they are extremely familiar in the United States because of their use in advertisements by Anheuser Busch. 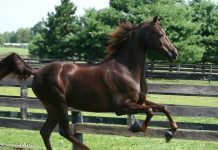 Teams of ‘Budweiser’ horses are kept and displayed at Anheuser Busch theme parks throughout the United States. Clydesdales stand from 16 to 18 hands and can be bay, brown, roan, black or gray, with white feathers and white markings. The Clydesdale is a flashy, high-stepping horse with strong, large feet. In fact, their feet were so big that in days past farmers couldn’t fit them in plow furrows. Therefore, Clydesdales were often worked in towns rather than farms.